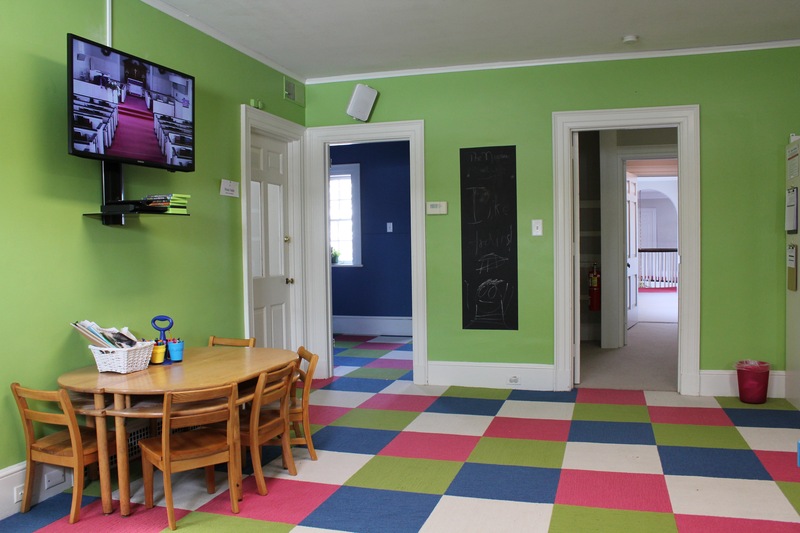 The brightly decorated second-floor nursery is available for children from birth-age 3 from 9:45-11:45am each Sunday morning to allow parents to enjoy coffee & snacks before and after services. The Nursery is staffed with a trained, paid childcare worker and a volunteer. Everyone working directly with children has completed all background checks required by the State of Pennsylvania. Additionally, our paid childcare provider has completed an extensive background check, and volunteers have completed an online Child Protection Program required by our Diocese. A Koala Care Baby Changing Station is available in the nursery (there are extra diapering supplies just in case!) and there is a child-friendly restroom. Click here for more specific information on our policies and procedures. This group meets for children ages birth-5th grade meets in our second floor Nursery. Classes are held from 10-10:40am (children return to the Sanctuary at the Peace, just before communion) for children ages 4-8th grade. The heart of Children’s Ministry lies in our volunteers! There are countless opportunities for you to get involved. If you would like to get involved but aren’t sure how, please contact our Children’s Minister, Tami Fire. This age group meets on our third floor. As students head into the teen years, sometimes they forget who they are—a beloved child of God who has been saved by the amazing grace that Christ pours out from the cross. Students 6th grade & up are invited to check out this class with our Youth Minister, Canon Tracey to help address these questions of identity & more.